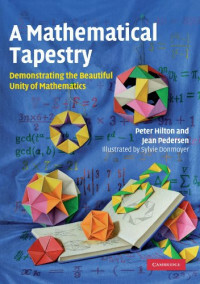 This easy-to-read book demonstrates how a simple geometric idea reveals fascinating connections and results in number theory, the mathematics of polyhedra, combinatorial geometry, and group theory. Using a systematic paper-folding procedure it is possible to construct a regular polygon with any number of sides. This remarkable algorithm has led to interesting proofs of certain results in number theory, has been used to answer combinatorial questions involving partitions of space, and has enabled the authors to obtain the formula for the volume of a regular tetrahedron in around three steps, using nothing more complicated than basic arithmetic and the most elementary plane geometry. All of these ideas, and more, reveal the beauty of mathematics and the interconnectedness of its various branches. Detailed instructions, including clear illustrations, enable the reader to gain hands-on experience constructing these models and to discover for themselves the patterns and relationships they unearth.